Whether obtained through diet and exercise or surgical options, weight loss offers tremendous benefits. However, you may find that your body has lost weight, but failed to fully contour to your new size. In fact, excess sagging skin is a common byproduct of weight loss and one no amount of physical activity can fully reduce. What’s more, when you gain weight, your abdominal muscles will separate and weaken, impacting core strength and often producing a “bloated” look that weight loss alone cannot correct. While recovery from any plastic surgery procedure will vary somewhat from person to person, it is common for facelift patients to be able to resume most normal activities within one week of their procedure. Postoperative discomfort may be present for a few days following surgery, but can typically be handled through over the counter medications. Swelling and bruising will also be present for one to two weeks after facelift surgery. Proper care of incisions, taking time to rest, and following all of our pre and postoperative directions will help minimize these issues. 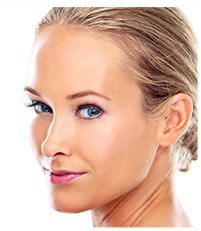 The medical care you will need following your plastic surgery procedure will be dependent on several factors. 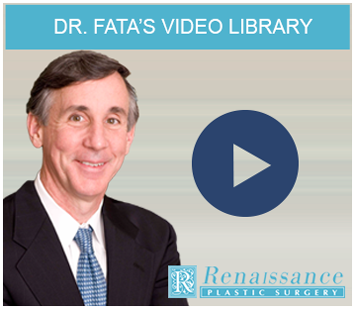 In the short video below, Dr. Fata discusses these as well as how frequently you can plan on returning to our office for follow-up visits in the days, weeks, and months following your procedure. Tobacco smoke contains nicotine, a vasoconstrictor that delays the healing response and can result in several postoperative complications. In the short video below, Indianapolis plastic surgeon Dr. Joseph Fata discusses how long before your procedure you will need to quit to reduce your risks of infection and other complications. If you are considering plastic surgery in Indianapolis, Carmel, Noblesville, or surrounding areas, please call Renaissance Plastic Surgery at 317-575-9152 to schedule a consultation with Dr. Fata today.